Schubert - Symphony No. 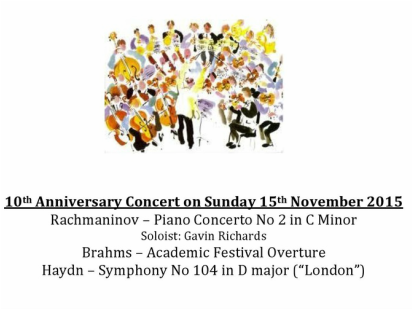 9 in C Major "Great"
- Schubert Symphony No. 8 "Unfinished"
- Elgar - March No. 1 in D major "Pomp & Circumstance"
£1,037 was raised and shared between Southampton General Hospital and Anthony Nolan. Sibelius once said, contrasting the music of Mahler and Richard Strauss, "Whereas most other modern composers are engaged in manufacturing cocktails of every hue and description, I offer the public pure cold water". Britten, living in Suffolk, took his inspiration for "Soirées Musicales" from themes of Rossini. Romeo & Juliet - surely the most passionately inspiring play of all time. Very well attended and musically exhilarating, we also raised £800 for our chosen charity: Red Balloon Learner Centres in Cambridge and Norwich. A great performance of two major pieces: the work Wagner called the "apotheosis of the dance"
We were delighted to join forces with the Swavesey Community Choir. The performance was held in Swavesey Village College and was dedicated to memory of the late head of the College, Martin Bacon. 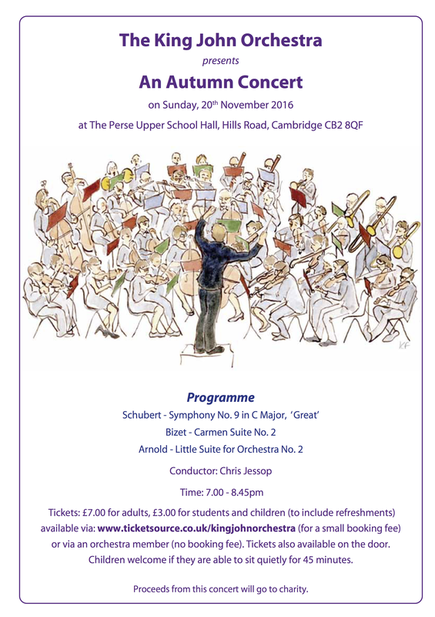 Fifth Family Concert in aid of music therapy at EACH (East Anglia Children's Hospice) and Blue Smile (£700 raised). 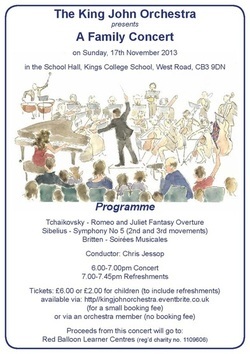 Fourth Family Concert in aid of Spinal Injuries Association (£800 raised). Third Family Concert in aid of Music in Hospitals (£684 raised). 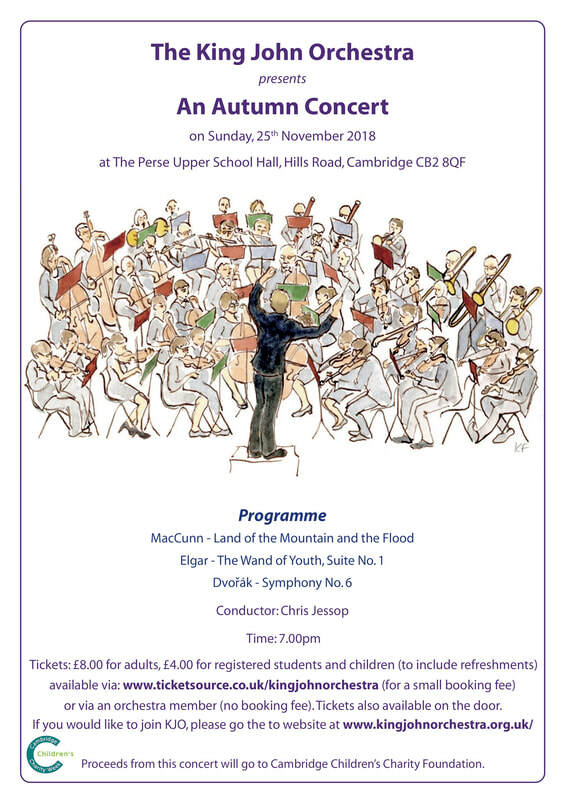 Second Family Concert in aid of Sound Affects (£287 raised). 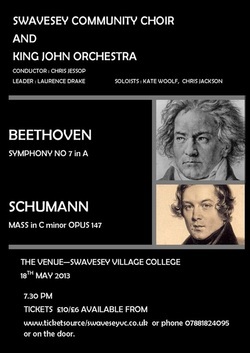 First rehearsal of KJO with Nicholas Robinson, Headmaster of King's College School as conductor. 1st March 2006 - Founded! First meeting of KJO founding committee initiated by Penny Barton, with co-founders Alice Garnett, David Cope, Caroline Cope & Jeremy Fairbrother.